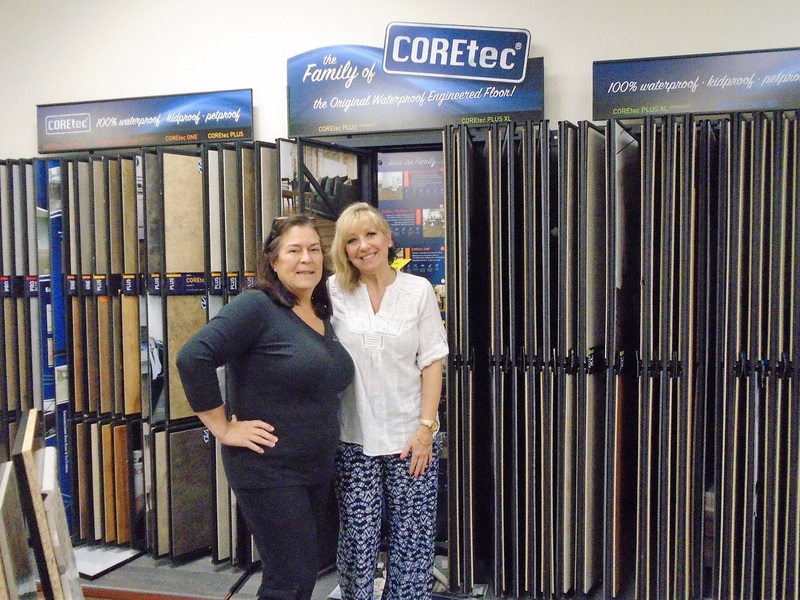 Liz Foglio (on left), owner of Foglio's Flooring Center with manager Pandora Mason, along with their team, provides many choices in floor and wall coverings and top customer service. 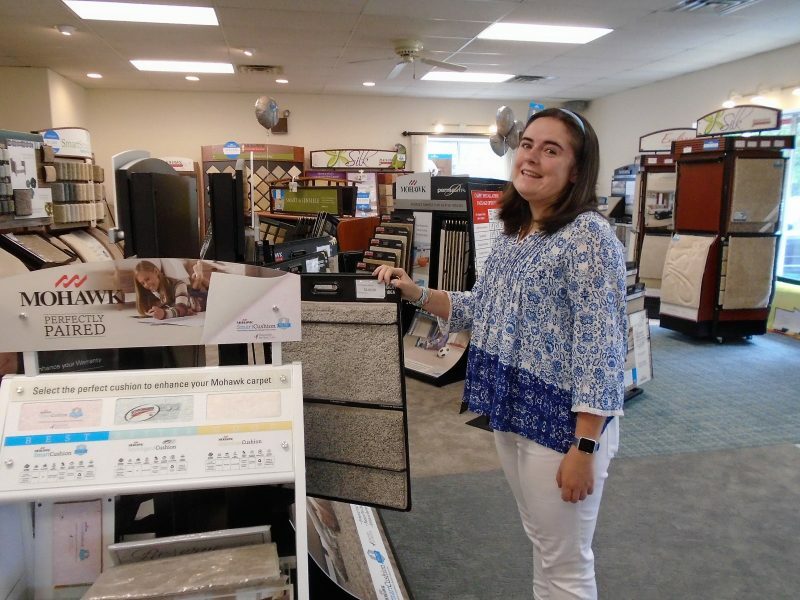 Perseverance, a laid back management style and giving customers top quality choices at reasonable prices, are just some of the things Liz Foglio attributes to the success of her business Foglio’s Flooring Center in Marmora. Foglio, the store owner for 30 years, also credits a woman’s touch in a business dominated by men. Her store manager, Pandora Mason, 45, of Millville, who recently obtained her certificate in design, complements Foglio and the rest of the team, offering personalized service while helping customers select the best choices to complete the perfect looks in any home. That is what they say sets them apart from the big-box retailers. 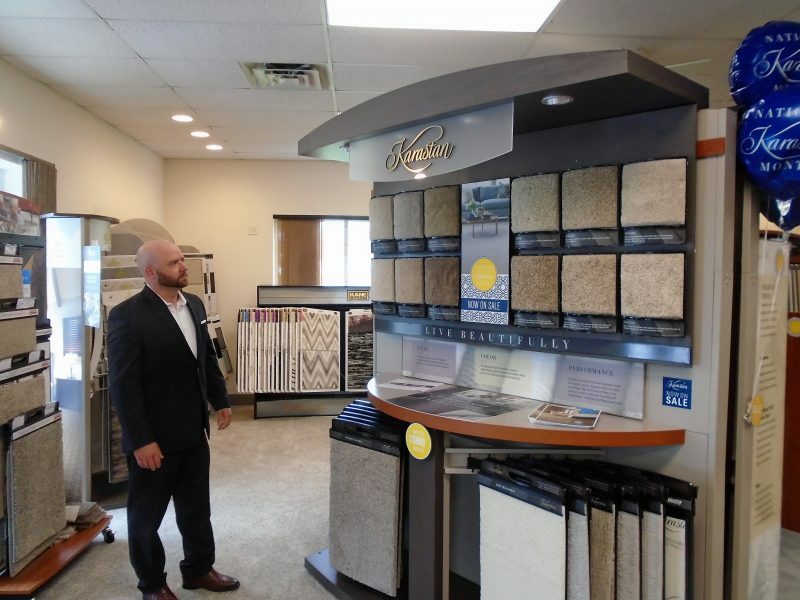 When it comes to selection in the 5,000-square-foot showroom at Foglio’s Flooring Center, 344 S. Shore Road in the Marmora section of Upper Township, both Foglio and Mason work hard. The store boasts many different types of carpeting. One of the top brands offered is Karastan. And like carpeting, there is an abundance of floor coverings to choose from. One of the store’s hottest sellers is COREtec, a type of vinyl plank flooring. 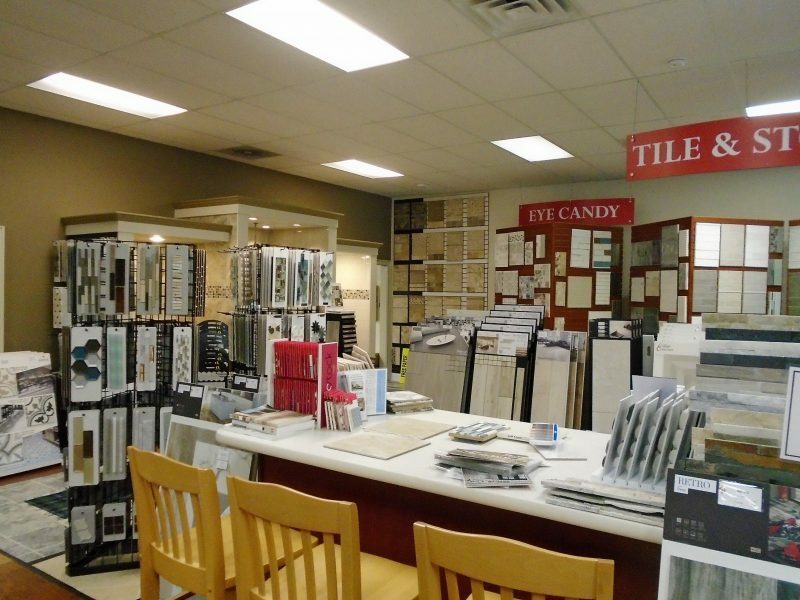 The showroom boasts 5,000 square feet of a vast selection from tiles and carpeting to wood and vinyl flooring. 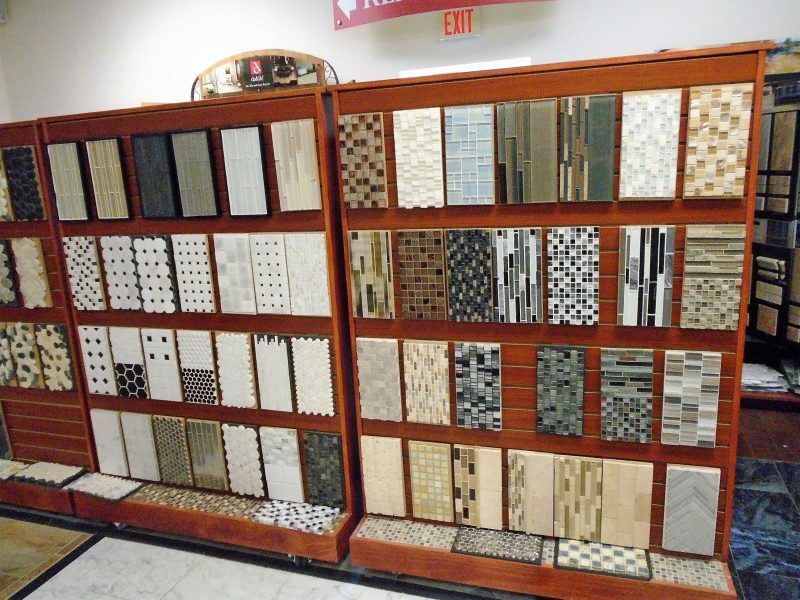 Foglio’s Flooring also offers a wide spectrum of tiles from porcelain, to natural stone to designer mosaics. But offering a wide selection of merchandise, only partially completes the job of what it takes to run a successful business, Foglio and Mason agreed. Creation, sacrifice and having superb product knowledge in an ever-evolving industry, are keys to being above the rest in home improvement. “Our team is always educating ourselves on the different products. We are always finding ways to create a better product for our customers,” Mason noted. Foglio’s employee Patrice Murray loves helping customers with selections. 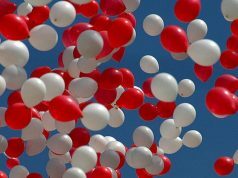 The women take every aspect of running a business very seriously, while still maintaining a fun working environment for the employees and providing a high quality showroom with friendly, knowledgeable service for the customers. The team at Foglio’s is small with 11 employees, including sales representatives, installers and estimators. Foglio’s brother Bart Foglio works in the warehouse. Rick Marshall, a sales representative at Foglio’s for 19 years, knows what customers want. Rick Marshall has been a dedicated employee for 19 years. On Wednesday he was busy helping customers with orders. Like many people on the Foglio’s Flooring team, Cindy Derecky does a bit of everything from purchasing, to scheduling to customer service. She has been at Foglio’s for 13 years. 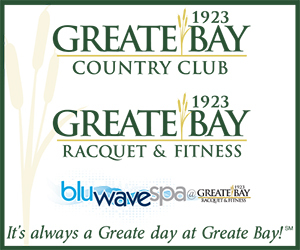 From longtime customers, to new customers, people are treated to high quality service. “Customers will come in and say they want a basic subway design for a backsplash. 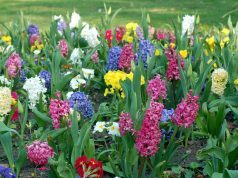 There is nothing wrong with that but then when they come in they love the selection,” Mason said. Porcelain, stone and mossaic tiles are available. While she is not an interior designer, she does offer her opinion when asked. She will even go to a home to offer some ideas. And, she said, anyone can buy something that looks good online, but the buyer doesn’t always know what he or she is getting. Mark Caputi, a Karastan carpet representative, stops by to deliver new samples. The family-owned business has a lot of repeat customers. 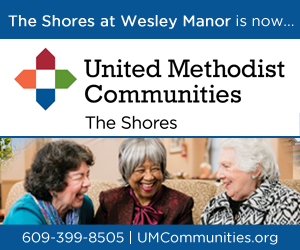 They serve a variety of customers including single family home owners, builders, contractors, assisted living communities and churches. From installation, to selection of items, to helping the do-it-yourselfer with some creative ideas, Foglio’s offers everything a person would want or need in a home improvement store. The loyal customer base is proof. 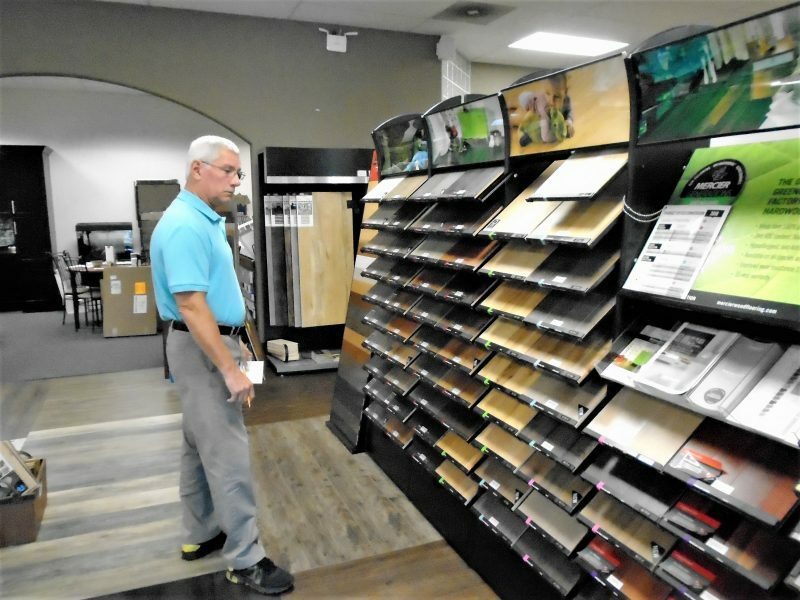 There are more than 2,300 subscribers of the Foglio’s Flooring newsletter, which provides customers information on new merchandise, traditional favorites and sales. Liz Foglio’s parents Doris and Frank Foglio were her mentors when going into the business. 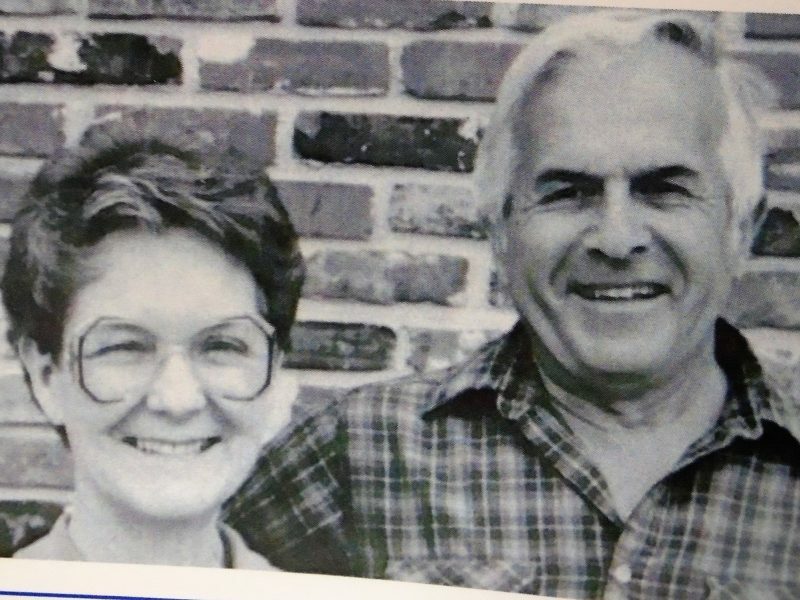 Foglio, whose business is next door to the house she grew up in with her parents, Doris and Frank Foglio, said she loves continuing her father’s legacy of running a good business, where customers and dedicated staff come first. She described her father as a “man of few words.” But said, while wiping a tear, she could tell he was proud by the way he looked at her. 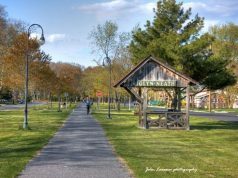 Foglio’s Flooring Center is located at 344 S. Shore Road in the Marmora section of Upper Township. For more information visit www.fogliosflooring.com or call (609) 390-3876. 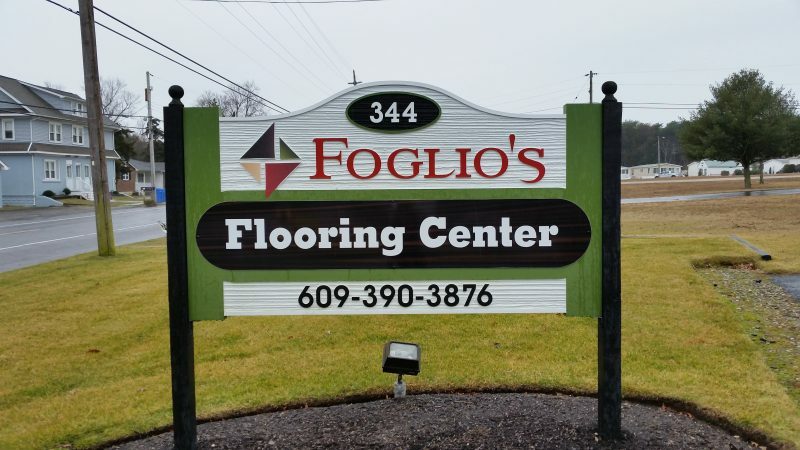 Foglio’s Flooring Center is located at 344 S. Shore Road in the Marmora section of Upper Township.